HCM CITY — Farmers and workers in the informal sector are often reluctant to buy voluntary social insurance because they do not understand its benefits and lack knowledge about the programme, according to the Việt Nam Social Security agency. Voluntary social insurance regulations, which took effect in 2008, provide insurance for many low-income farmers and informal-sector workers. If participants pay social insurance premiums for at least 20 years, men over 60 and women over 55 will be entitled to pension payments after they retire. As of the end of last year, the country had 221,000 holders of voluntary social insurance cards. The Government targets having more participants, including 23 million people who work in agriculture and nearly 14 million labourers in the informal sector. Although the programme provides coverage to society’s most vulnerable groups, many intended beneficiaries are unable to participate or know little about the benefits. Nguyễn Văn Chín, a farmer in HCM City’s Nhà Bè District, said that he would have to spend VNĐ700,000 of his monthly income of VNĐ5 million (US$220). “My family doesn’t even have enough money to buy food,” he said. Nguyễn Thị Thủy, 50, also a farmer, said she heard about the programme last year, but was unsure about its benefits. Thủy earns between VNĐ4 million and VNĐ5 million a month from her job of three years. The money is barely enough to keep her family afloat, so setting money aside to buy insurance for a pension is a luxury. “I know buying this insurance would be good when I can no longer work," she said. "But will I have the money to buy food for my children tomorrow? How can I think about 20 years from now?" A lack of awareness and a paucity of clear information and understanding about the scheme are barriers that the Government is trying to overcome. Unlike Thủy, Phạm Thị Lan Anh, 48, who has a high income as a hairdresser, is unsure whether she is eligible to take part in voluntary social insurance. Many people believe that formal compulsory social insurance is the only available programme. "I would have to pay insurance fees for 20 years before I become eligible for the retirement allowance, so I would be 68. Should I pay fees for five or 10 years at one time? Can I meet the requirement in only seven years, and then receive a pension?” she asked. "I know there are different rates that payers can choose from, with the lowest rate equal to the minimum wage for one month and the highest rate equivalent to the minimum wage for 20 months, but I have no idea how much the insurer will pay us after 20 years, or where I can go to pay the insurance fees," she said. 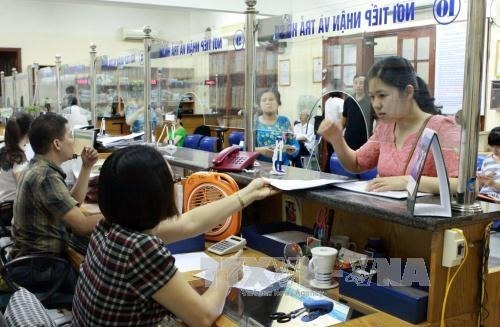 Dương Thị Thanh Thủy, a representative of Việt Nam Social Security agency in HCM City, said that farmers and informal workers could pay for voluntary social insurance in increments of three months, six months, a year, or 10 years. Beginning this year, low-income farmers and informal workers now receive a 10 to 30 per cent discount from the State when they join voluntary social insurance, according to Thủy. The benefits of voluntary social insurance are generally not as attractive as compulsory social insurance. Voluntary insurance offers retirement payments and a one-time payment to the family after the insurance owner’s death, while compulsory insurance has the same benefits but also includes health care, maternity care, and work accidents or job-related illnesses. Compulsory social insurance is based on the income of formal workers who pay about 10.5 per cent of their monthly income, while their companies pay about 20 per cent. Voluntary social insurance is based on the income level of farmers and informal workers, who contribute 22 per cent of their income each month.